Extending deep into the surrounding state of Senegal from Africa’s Atlantic Coast, Gambia, with a population of around 1.9 million and a subsistence agrarian economy, remains one of the world’s most food-deficient countries. Ranked 172 out of 188 countries for Human Development, Gambia is poor even by regional standards—at least a tenth of its population is food-insecure; almost half of all Gambians are vulnerable to food insecurity. In 2015, the prevalence of global acute malnutrition was found to have increased to 10.4 percent. 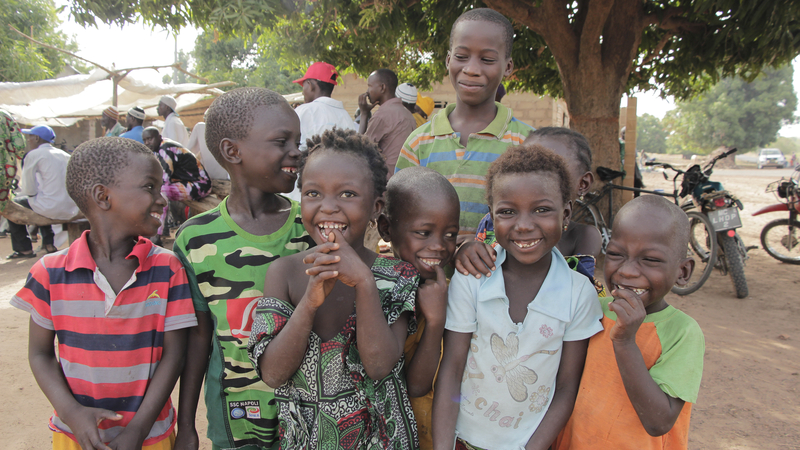 The areas scoring worst for malnutrition—Kuntaur, Janjanbureh, Basse and Kerewan—also had the highest rates of stunting, recorded nationally at a critical 24.9 percent. The country’s exposure to climate change—particularly droughts, windstorms, floods and rising sea levels—exacerbates this vulnerability. WFP has been present in Gambia since 1970. WFP, in partnership with the Government of Gambia and donors, supports Gambia through food assistance, including school meals, food and cash, food vouchers or e-cards. WFP is working to reduce the prevalence of underweight and malnutrition in vulnerable communities. This involves the provision of highly nutritious foods to children under five and nursing mothers, as well as nutrition awareness activities, for 105,000 people recovering from drought in 2011 and floods in 2012. WFP is helping establish a home-grown school meals program in areas where malnutrition is high and school attendance low, with more than 100,000 students benefitting. WFP is supporting government efforts to build communities’ capacity for climate resilience. As Chair of the UN Disaster Management Group, WFP also assists in coordinating a harmonized disaster preparedness and response plan.